Self-storage has gained much acclaim as a valuable commercial real estate investment in recent times. This is partly due to the increasing storage and warehousing needs of individuals and businesses. Let us briefly explain what self-storage means in the world of real estate. Self-storage deals with renting out storage space to individuals or businesses, usually on a short-term basis. The storage facility can uphold household goods and equipment as well as inventory and archived records. 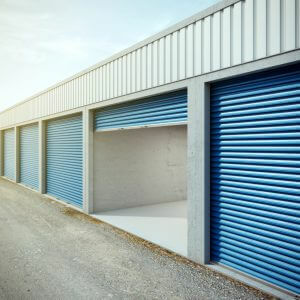 If you are looking for a self-storage facility to purchase, it is essential to evaluate its gross potential or the value that it is likely to be worth in the market. Here, we list a few ways to calculate gross potential in a self-storage investment. Here, the emphasis will be upon assessing the actual figures; figures relate to payment made for self-storage regarding utilities, maintenance, advertising and the actual revenue generated regarding rent from this real estate property. Once you have the actual numbers, you can make the necessary calculations. Using estimates will not allow you to calculate gross potential in a self-storage on an accurate and factual basis. Once the various cost heads have been identified and actual figures have been acquired, you can calculate the gross and net profits that may be generated from the self-storage investment. This is one method to calculate gross potential in a self-storage, with help from the property owner. Property owners that fail to disclose such information make valuing a self-storage property a tedious job. However, you can get your hands on the information needed through industry journals and published annual reports of real estate companies. To calculate gross potential in a self-storage, identifying the capitalization rate is another significant step. Cap rate is a must in order to estimate a return on investment (ROI) and it may be lower in popular areas and locations where strong-profile tenants are common. For areas that are low in popularity, comprising mostly of older buildings and weak-profiled tenants, a higher cap rate may be fixed in order to cover for maintenance and repair services, as and when required. These factors can help you with deciding a cap rate in any given area; however, since the emphasis has been on actual figures and not forecasted ones, you may inquire a property owner for cap rate prevalent in a given area where the self-storage is located. Cap rate can also be calculated by using the net operating incomes and recent sale prices of comparable properties. The determined rate may then be used to calculate the current market value of the self-storage facility. The value calculation, in this case, is essentially how we can calculate gross potential in a self-storage property. Now that you have both the operating income and cap rate, the value of the self-storage property may be calculated by putting the figures in the valuation formula. A few of the important aspects to keep in mind comprise of monthly cash flows, value appreciation over time, tax advantages, tax breaks from depreciation and any and all significant expenses that are usually involved in a business. These expenses span from mortgage interest, insurance, advertising, bookkeeping, and management all the way to repairs and maintenance.